Chicken: Buy a large amount of chicken, divide it into freezer bags with the marinade of your choice, and freeze. The chicken will marinade as it thaws and you will have a tasty dish ready. Just add a side salad and some rice. Beans and Rice: Healthy, full of fiber, and filling, beans and rice is yummy frugal meal. No need to make any other side dishes because beans and rice is truly a meal in itself. Chili: Prepare a simple chili with cans of beans, onions, garlic, tomato paste and chili seasoning. You can add meat if you like but when it is made right, chili with no meat is very good. You can also add fresh tomatoes and other vegetables like bell peppers. Cook the chili, let it cool, and then just freeze. Casseroles: Some casseroles like tuna or broccoli and cheese don’t cost much make and can be frozen with ease. When you make a casserole for dinner one night, make two. Instead of cooking the second one, once it is prepared, put it in the freezer. Meatballs: Meatballs are another item is not expensive to make, can be doubled and frozen. You can find ground beef on sale often and can buy it in bulk in wholesale stores. With meatballs you can make different types to freeze like simple ones for spaghetti, honey barbecued, or teriyaki. Taco or sloppy joe meat: Who doesn’t love tacos or sloppy joes? Again you can get hamburger meat in bulk. The good thing about these frugal meals is that you can cook them or just prepare them and freeze. 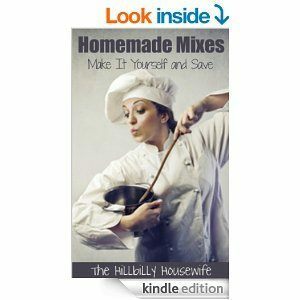 It really makes creating fun, great, quick meals simple and very feasible. Soups: Some soups like chicken noodle or split pea can be frozen successfully. You want to be careful freezing soups with potatoes or cream in them. These types of soups do not always freeze well and will make for a gummy, mushy meal for the family. Freezer cooking can not only be frugal but time saving, convenient, and really easy to do. Ready to give Freezer Cooking a Try? 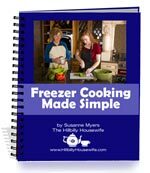 Order my Freezer Cooking Made Simple ebook and put it to work right away.